How Can UK Manufacturing Respond to the Triggering of Article 50? April 21, 2017 / Guest / Comments Off on How Can UK Manufacturing Respond to the Triggering of Article 50? With Article 50 now activated (March 2017), Brexit isn’t something that may happen, it’s here and we now rely on the UK Government and economists to get the best deals for Britain. Here, Paul Edwards of British firm Pentagon Plastics, discusses his own response to Article 50 as a manufacturing business owner, and how businesses can make positive strides into a potentially uncertain future. Should UK manufacturing businesses panic or embrace it? With every change there comes an opportunity. Why wouldn’t countries want to deal with the UK and arrange mutually beneficial trade agreements? With free movement of individuals that can fill skills gaps and improve services that companies provide at home and across the globe, everyone benefits. In the UK for instance, we should be proud of the quality of workmanship, level of service and value for money we offer across a wide section of industries. The headline should be that we’re not an up and coming economy tipped to play a part in the global economy of the future. We are already there and have been for many hundreds of years with a proven ability of trading across the world. However, we cannot sit back because of past successes; we have to prove that we are taking this opportunity to show how great the Great in Britain can be. In short, we should embrace it and take it as a chance to further our continual improvement. How do we embrace it and get ahead? At home, we need to be supported by the government to develop the skills needed to meet future demands. This has to start in schools with a real focus on career paths and opportunities. Apprenticeships seem to have been away from the political agenda for too long. Perhaps if we follow the model set by Germany in this regard we can solve the shortage of engineers and tradesman we see today. Paul states, “I think the apprenticeships should remain as an educational platform supported by National Trade Centres who provide the skills training across the country. 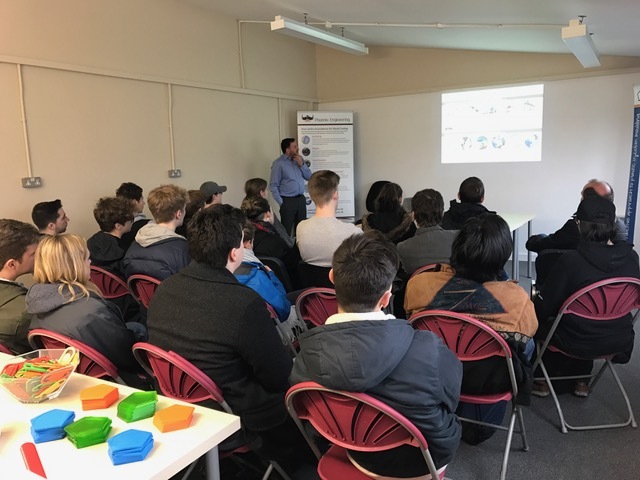 These allow those attending to learn a broad base of trade and engineering skills for their first year, before entering employer’s facilities for the remaining three years, whilst attending day release at college. We still need NVQ qualifications to be delivered for roles such as administration but these could follow a different path to the apprenticeships to offer more choice to those that thrive out of the educational establishment. School and businesses can work together to encourage young persons into careers where there are home grown skills shortages. This may result in the question on migrant workers being less prominent; however, we should encourage workers to our shores. This system brings a diverse culture and helps us deliver a greater quality and higher service level going forward. 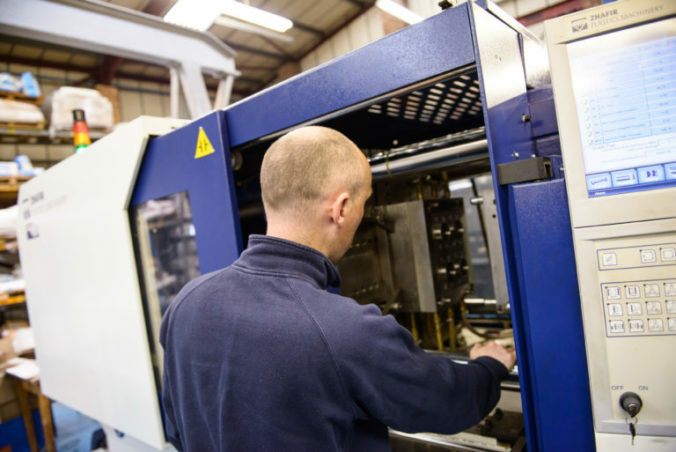 In our plastic injection moulding sector, there is a reluctance to invest in some situations. Can this be put down to Brexit, or is it a much wider held issue? If so, is it an aversion to risk and a mentality to save for a rainy day? Potentially. At present, money for investment is available from banks and other financial institutions. With low interest rates, this could be used to invest in new technology, research and development, marketing strategies and good customer relationships. In short, every aspect that will result in growth and profit. This could make UK manufacturing leaner and stronger, whilst putting the structures in place to improve the services offered, creating a resurgence and upturn. It’s almost certain that strong companies will ride out any uncertainties and become stronger, and unfortunately, smaller companies may struggle and eventually cease trading. However, this has always been seen as the plastics industry is competitive; it is the business life cycle. This mirrors the cyclical nature of our economy; a recession builds, we’re in recession, we’re coming out of recession, then it starts over again. Fortunately it is a slow orbiting 10 to 12 year cycle. Nevertheless, this process is predictable and can be planned for to minimise fallout. The reputation and strength of the plastics industry in the UK puts us in a positive position for trade and in February this year, The British Plastics Federation (BPF) met with MPs to discuss the industry’s interests and the best possible outcomes from Brexit. At each venture, we should ensure our voices and concerns are heard.